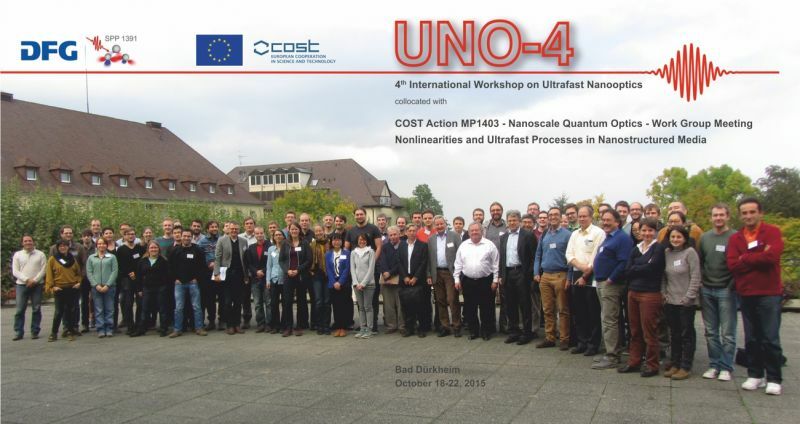 Ultrafast nanooptics, i.e. the combination of nanooptics and ultrafast laser spectroscopy, is a new and rapidly evolving field in physics and neighboring disciplines. This web page should provide an information platform for this field of research. Announcements, news, and other information important to this field of research that are brought to our attention will be made accessible on this page. So hopefully this page will become a valuable information platform in the coming years. In addition to this service for the rapidly growing ultrafast nanooptics community the page serves as home page for the recently established priority program SPP 1391 Ultrafast Nanooptics of the German Science Foundation. The displayed information on the pages is open to all users. Additional information, downloads of presentations and online registration is open only for registered users. For registration as regular user please click here. Seeking internal information of the SPP and editing of the SPP project pages requires the registration as SPP user. For this an additional password is required that is known to the principal investigators of the individual SPP projects. With this password it is possible to register here.